The thing which puts Petroleum Engineering apart from other fields of engineering is the career prospects. As a petroleum engineer you may get the opportunities to handle offshore projects, which would need you to have leadership qualities, decision making skills, team management skills, etc. And this is along with your conceptual knowledge of the subject. 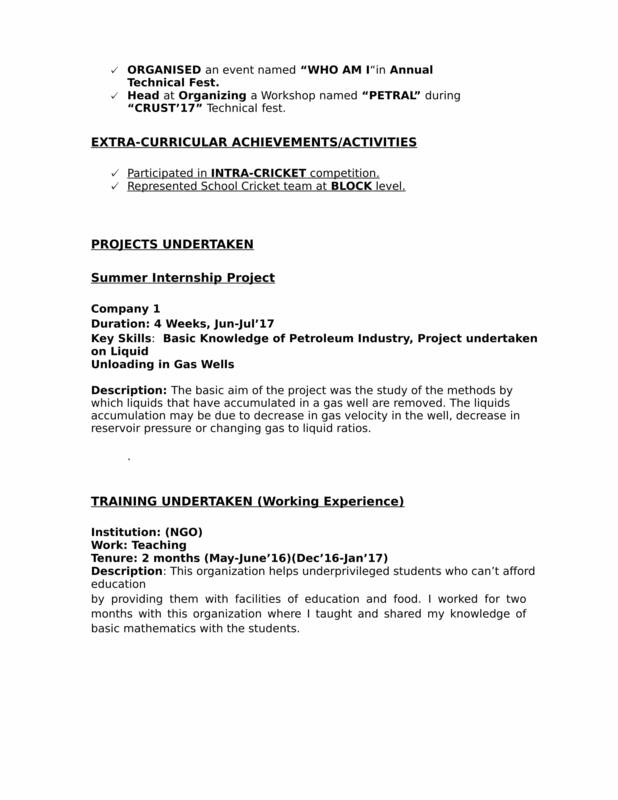 So, in order to create an impeccable petroleum engineering resume, you can’t just rely on skimming through a few resume samples for freshers. 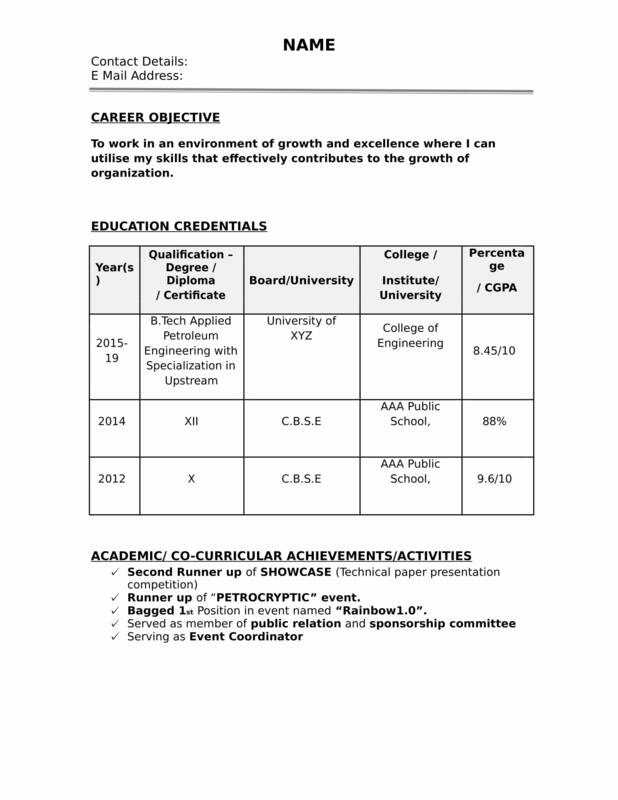 You need to ensure you have all the required information and tips to create the near perfect resume for petroleum engineers. and providing engineering support, data and information to the reservoir and completion group. However, for those with no work experience, as any other fresher resume sample you may have come across, your petroleum engineering resume must emphasise on the skills you possess. 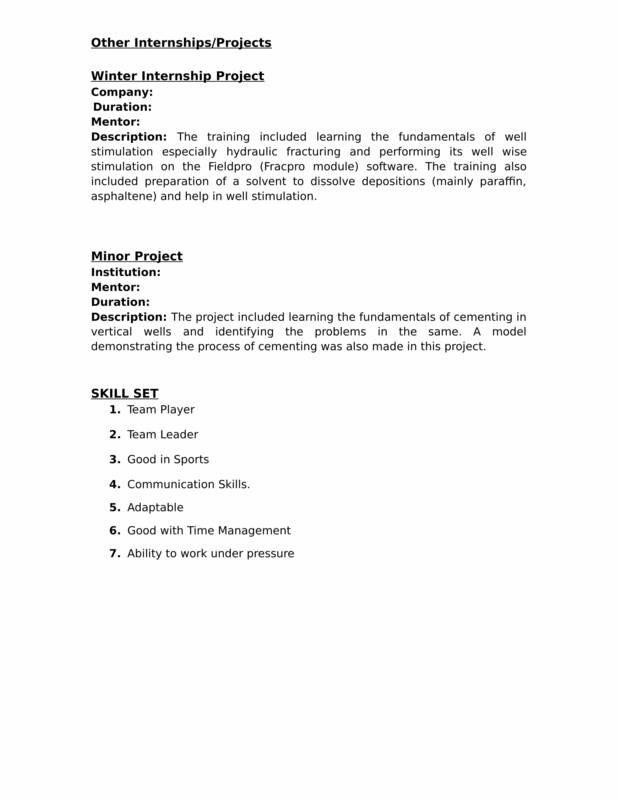 Your fresher resume should also talk about the projects you undertook in college. Also, talking about the challenges you face and how you overcame them will make your job resume a lot more interesting. Apart from that, as a fresher resume the focus must also be on how you are a team player and work brilliantly in hard-pressed situations. And, while putting all the information together, you need to ensure that the fresher resume template you choose does justice to your skills and qualifications. Also, ensure that while your resume template is engaging, you are not making silly grammatical mistakes in your fresher resume. Of course, to do so you might require some professional help, and what better than the Resume Buddy?